OPG has to run several inspections of complex-shape turbine components, such as blade roots, rotor steeples, narrow-gap welds or disk blade rim attachment. Specific aspects of this project were published in [ 1 - 3 ] . An update of field trial nr. 3 is presented in another conference paper [ 4 ] . Taking into account the requirements for minimum target size, the geometry of the parts to be inspected and the productivity constraints, it was decided to use phased array technology with an improved probe design and reliability. In this framework, a collaboration was settle with Imasonic for the development of an advanced phased array probes concept dedicated to these applications. About 20 phased array probes have been specifically developed during the last 3 years. Phased array technology has been selected for the beam steering and focusing flexibility and also for the possibility to angle the beam without wedge that would require too much space for some inspections. Piezocomposite technology was preferred for the phased array technology and also to optimise the electroacoustical performances like sensitivity, signal to noise ratio, bandwidth and pulse length. 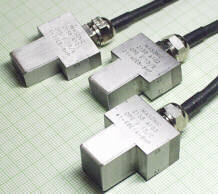 All probes are high frequency probes (from 6 MHz to 17 MHz) for high-resolution inspection. 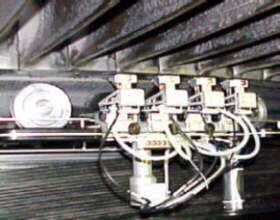 Miniature probes were necessary to inspect the complex geometry and limited access components. The modelling of the probe is done by O.P.G., with PASS software. The target parameters of this modelling are inspection depth, lateral and axial resolution, according to various inspections angles. Probes are also designed to avoid grating lobes or secondary lobes that may generate unexpected parasitic echoes. If necessary, Imasonic may also confirm the design with CIVA software, developed by CEA (France). This very complete software allows accurate beam simulation and interaction with defined defects. A specially designed piezocomposite material 1-3 structure (see Figure 1) is implemented in each type of probe. Details could be found in [ 5 ] . The composite components and geometry are defined according to the temporal and frequency response specifications, while keeping high sensitivity and signal to noise ratio level. The piezocomposite material is also designed to lower the cross coupling between neighbour elements, which is necessary to properly steer the beam with electronic delay laws. Typical cross coupling is lower than -40dB. Taking into account the using conditions of the probe (manual, automated, direct contact, contact with a wedge), the matching layer is designed to optimise the energy transfer, to shorten the pulse length and to be wear resistant. 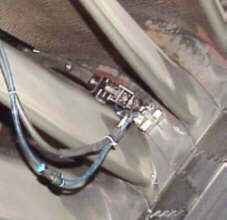 The cable performances are also a key parameter for the overall performances of the probe. Its attenuation must be as low as possible, mainly for high frequency probes. Its electrical impedance is matched to probe and electronic characteristics. The bending capability is optimised to access small areas, while keeping high mechanical resistance and constant electrical properties. The electro-acoustical influence of all these components is simulated with software based on KLM model. The target parameters are temporal and spectral response, sensitivity and electrical impedance (see Figure 2). Combined with this software, Imasonic databases on piezocomposite material allow precise simulation and very predictable electroacoustical performances. OPG issued mechanical specifications for each probe based on part geometry and manipulator holding device. These specifications include overall dimensions, particular geometry requirements, and cable output position. Imasonic validate this design or propose modifications to OPG to guarantee a high mechanical resistance and watertightness under 50cm of water. Several probes are used manually or automatically in direct contact, which is very aggressive for the front face. The wear of the front face may have unexpected consequences on the probes like water penetration in the probe or modification of electroacoustical properties. In the meantime, the implementation of a protective layer on the front face may alter the pulse length and sensitivity due to the additional interface. For this reason, Imasonic implemented a new hard face material l /4 material that combines an appropriate acoustical impedance for high energy transfer. OPG tested wear resistance which was 10 times higher than conventional front face. The restricted space available for inspection and limited access for contact area required miniaturised probes with particular front face geometry. Inspection speed required parallel inspection of neighbour blade roots or rotor steeple, or parallel inspection of different area of the same part. 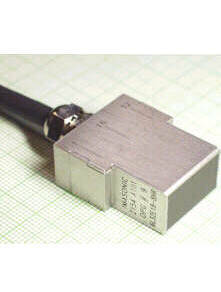 For this purpose, OPG designed and Imasonic manufactured up to 4 head probes connected in a single connector (see Figure 3). Fig 3: Probe 15A & 15 B: 1-20E8-8HP 20 elements / Pitch: 0.4 mm / 10 MHz Probe 15C: 41-68E14-8HP 28 elements / Pitch: 0.5 mm / 7 MHz Automatic inspection of L-0 rotor steeple grooves. The probes are designed and manufactured according to Quality Assurance system of Imasonic, which is ISO 9001 certified since January 1998. All probes are checked according to internal procedures and periodically calibrated equipment linked to traceable standards. The goal of these procedures is to test during the manufacturing and the final control the performances of the probe that can guarantee the specified performances in the specified using configuration. An example of probe performances ( nr. 9) is presented in Table 1 and Figure 4. OPG implemented a checking procedure for LPAP probes. Further to Imasonic tests, the goal is to test the beam characteristics with representative delay laws. Table 2 presents the main features to be certified. Index evaluation is presented in Figure 5. Fig 5: Example for evaluation of actual refracted angle, wedge delay, and exit point, using specimen features of reference block with side-drilled holes. Table 2: Phased array probe main features to be certified by OPG. Figure 6-8 illustrate evaluation of beam divergence, depth of field and S/N ratio on various probes. The Experimental parameters are very close to modelling. Fig 6: Beam divergence for P3C. Fig 7: Depth of field for probe 9 (L-waves). Fig 8: S/N ratio for probe 15C - L-waves at 15°. Table 3 summarised the detection and sizing accuracy for in situ examination of turbine components of ABB low pressure turbine at Darlington NGS for field trial nr. 2 and nr. 3. All probes withstand the using conditions with reliable performances for manual and automated inspections. An example is illustrated in Figure 9 and 10. Prototype probes passed the field test with reliable performances. Some improvements concerning design and manufacturing have been identified and will be implemented for next full industrial inspection in 2001. The authors wish to thank OPG-NOSS-SESD-SIMD Management Team for granting the publication of this paper. P. Ciorau, D. Macgillivray, T. Hazelton, L. Gilham, D. Craig, J. Poguet: " In-situ examination of ABB L-0 / L-1 blade roots and rotor steeple of low-pressure steam turbine, using phased array technology. 15-th WCNDT-paper IDN 013 - Rome, Oct. 2000.